Put down the controller and pick up a book. Haven’t you ever wished that instead of playing your favorite video game, you could just cuddle up in bed with it in book form? No? Well, if not, you’re missing out. Given that games are often a story-driven medium, you might be surprised to learn that some of your favorites also have novels to their name. Not just that, but some video game novels are fantastic in their own right, taking advantage of the written word to give new depth to your favorite game worlds. Video game series like BioShock, Uncharted, and Halo all have great novelization tie-ins that highlight the strength of the original work, but deliver new takes on them through the power of literature. Sometimes, these are near-direct transcriptions of the game’s story. However, the novels often act like expanded universe takes, telling new tales within the same universe. Here are seven of the best, most creative novelizations in video games. The world of BioShock is arguably one of the most fascinating fictional settings in entertainment, and author John Shirley does an amazing job crafting his take on Rapture’s creation and origins. Acting as a somewhat unofficial prequel, BioShock: Rapture is Shirley’s attempt to capture the lives of the key characters that would later go on to appear in BioShock and BioShock 2. Shirley primarily draws his stories from the actual game and design materials, but it’s his ability to capture the 20th-century dystopia’s twisted tone that makes BioShock: Rapture such a fun read for fans of the series. Even if creator Ken Levine disavows the canon of Rapture, its content and strong similarity to the source material makes it one of the better video game novels. “They gave me free rein with the story and world found in the game so that I might find my own path through the tale,” author Miyuki Miyabe says in her preface thanking Ico’s producers and creators. Though an award-winning novelist, Miyabe’s Ico: Castle in the Mist is her first attempt at novelization. As such, she retells the story hinted at in the game with added details. Miyabe is quick to mention that while her story is based on the game, the novel takes an original approach to its contents, but it still captures the mysterious atmosphere and ambiance perfectly with her gentle prose. Whereas the Uncharted games have always tried to capture a kind of cinematic scope with their visuals, Uncharted: The Fourth Labyrinth feels like an attempt to emulate classic pulp novels. Starring a Nathan Drake who feels a little less wisecrack-y and more of a globe-trotting swashbuckler, The Fourth Labyrinth does the adventure games justice. There are some issues with Drake feeling a little too out-of-character for my tastes, but the novel’s various locales and Indiana Jones-esque treasure hunting makes the book a good investment for fans of the series, especially given that the planned film has been put on hiatus. It’s fitting that a video game that emulates the works of Stephen King also got a novel that attempts to do the same. While neither are comparable to the master, both the game and the novel do well in crafting a fun, pulpy horror story. 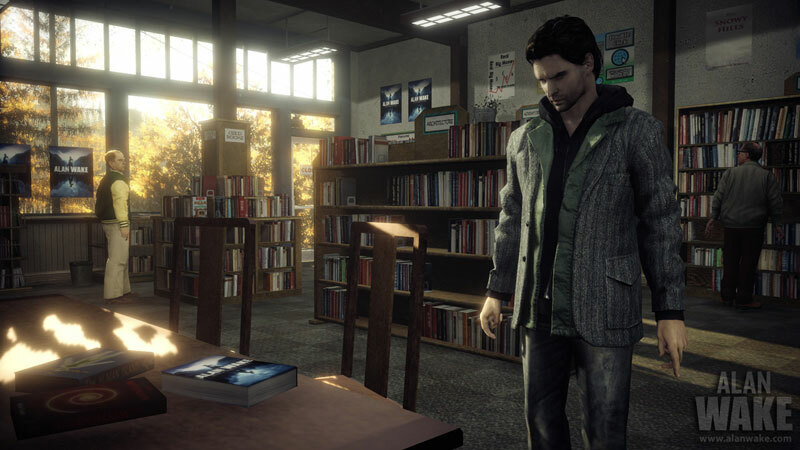 The Alan Wake novel sometimes suffers from trying to evoke the style of more renowned horror writers, but that’s a problem it shares with the game; in that way, the novel is extremely faithful to the source material. Still, fans of the game who don’t want to replay the entire thing can simply pick up the novelization as it does a great job at reenacting the events of the game. A prequel novel released as a tie-in to the first Halo game, The Fall of Reach was supposedly finished in just seven weeks. That doesn’t stop the novel from being an informative piece of work that goes into great detail explaining the origins of the SPARTAN soldier program that birthed the video game icon known as Master Chief. To be perfectly frank, I might be a little biased towards this novel — despite a few shortcomings — only because it is the basis for what is arguably the best Halo game in the series: Halo: Reach. 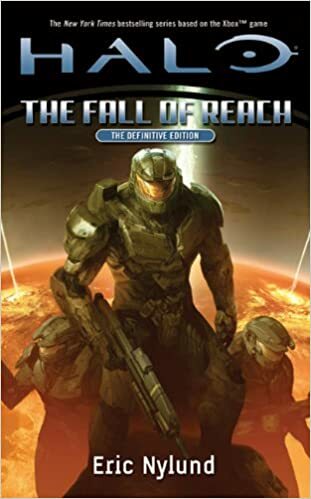 While the novel differs greatly from the game that would succeed it, The Fall of Reach provides a lot of interesting history into the Halo universe for those who really want to dig into the mythos and lore. Don’t let the military shooter label fool you: This is still one of the more interesting sci-fi universes in gaming, even if it is almost entirely rooted in military combat. Unlike some of the other novels on this list, Mass Effect: Revelation was written by a writer who actually worked on the series. Drew Karpyshyn was a senior writer at BioWare who worked on Mass Effect and Star Wars: Knights of the Old Republic. It’s probably why his novel feels really in tune with the game’s universe. Revelation helps detail the larger Mass Effect universe beyond the games. The novel is kind of a deep cut for fans, and immensely appealing to readers who only want to learn more about Mass Effect, but in a way that’s easy to read and understand. 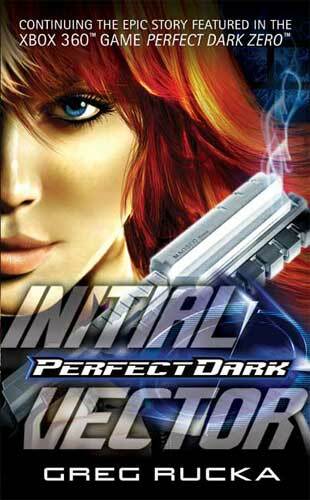 Written by veteran comic book writer Greg Rucka, Perfect Dark: Initial Vector is a sequel to Perfect Dark Zero on the Xbox 360. The novel follows ex-bounty hunter Joanna Dark in the year 2020 as she gets caught up in a clandestine war between two rival corporations. Rucka leans heavily on typical Perfect Dark tropes, creating something of a sci-fi James Bond. Rucka, who currently writes the Wonder Woman comics for DC, expertly writes Dark as the ultimate, badass mercenary.